Our Waterproofing Tanking Membrane Kit contains all the materials required to undertake 40m2 of waterproofing at your property. 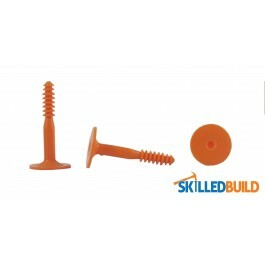 This Kit includes SkilledBuild’s Waterproof Tanking Membrane manufactured from high density polyethylene (HDPE) which is used for waterproofing buildings below ground level and isolating damp walls above ground level. 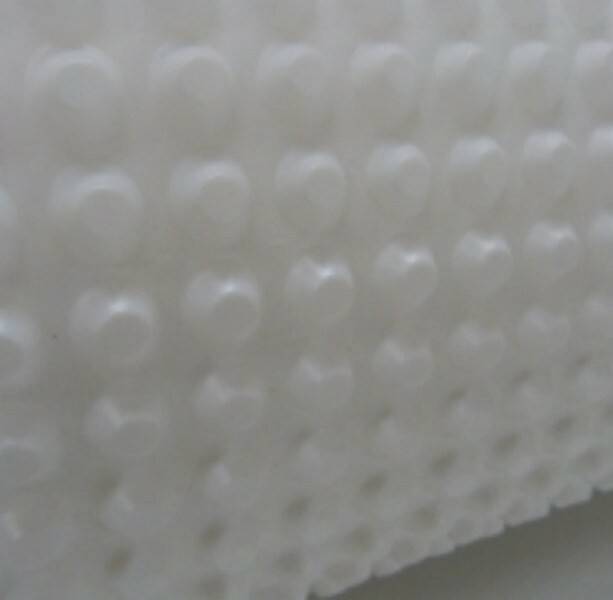 This product is easily installed by fixing the membrane mechanically to original wall/floor surfaces. Installation of the Waterproof Tanking Membrane creates an air gap between the wall/floor surface and the membrane which allows any free water to run behind it. One installed, a dry lining finish can be applied direct to the membrane, or any floor screed. Please see our Product Data Sheet for installation guidance. 2.0m x 20m (40m2) of Waterproof Tanking Membrane. 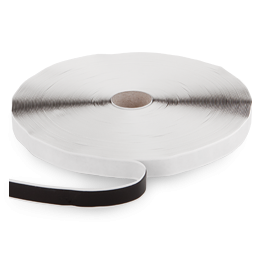 1 x Roll of Waterproofing Tape - 2mm x 28mm x 22.5m. 200 Brick Plugs and washers. 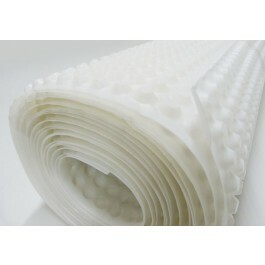 The Waterproofing Tape is used to seal the overlapping joints in the membrane and corners. Isolating damp walls above ground level. The Waterproof Tanking Membrane should be stored in dry conditions, avoiding sharp objects, direct sunlight and high temperatures. Follow this link to visit Product Pages for Damp Proof Membranes and other Damp Proof Membrane products. 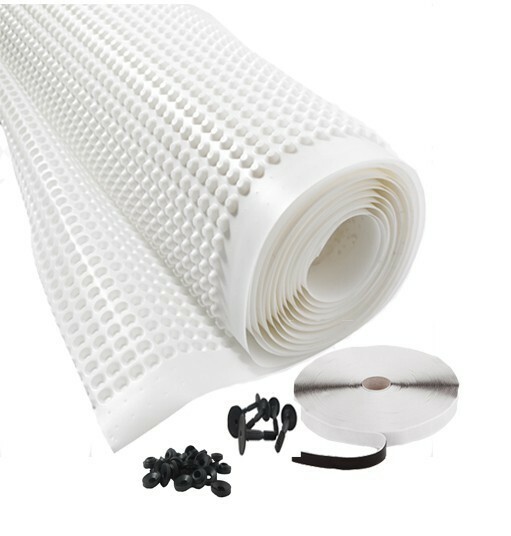 Where Waterproof Tanking Membrane is installed in basements the Waterproof Tanking Membrane must be used in conjunction with a suitable sump and pump facility (unless passive drainage is available). IThe sump and pump facility must be maintained throughout the lifetime of the membrane installation. Tanking and cellar conversion works must always be in accordance with the relevant Building Regulations or British Standards. SkilledBuild’s Waterproofing Tanking Membrane is suitable for use in accordance with BS8102:2009 to provide ‘Type C’ drained protection to structures below ground level, providing a Grade 3 or 4 dry environment suitable for domestic or commercial use. Where there is a lack of natural ventilation it may be necessary to consider should also be given to providing an adequate means of condensation control. Use to create dry and habitable living spaces in areas suffering from damp or wet conditions. Quick to install, requiring little preparation. Easily malleable and cut with scissors for application around windows doors and services. Low and high temperature tolerance. Little or no damage to existing structure. Decoration can be applied immediately after installation. When used as a floor membrane, insulation, under floor heating, screed and floating floors can all be accommodated. Resistant to water, rot, salt, roots and contaminants. For more information on the Waterproof Tanking Membrane product, please visit our Product Data Sheet. For a detailed guide to installing Waterproof Tanking Membrane, visit our Product Data Sheet. Contaminated or loose plaster need to be removed and replaced. 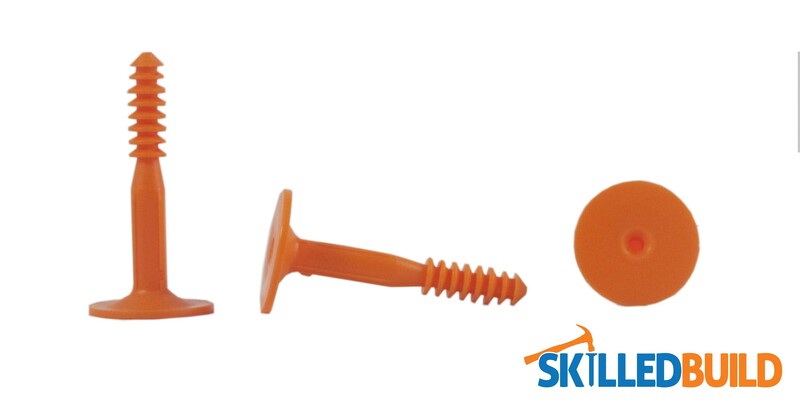 Treat existing moulds or fungi with an appropriate biocide, such as Skilled Build’s Mould Steriliser and Killer. The floor must be cleared oil and any loose material. Edges and large depressions must be levelled out. Decide on a drainage design and test it before laying the Waterproof Tanking Membrane. A fixing then needs to be pushed into the hole until it is flush in the stud. Keep the membrane level and taught to avoid ripples. The number of additional fixing plugs that need to be fitted depends on the type of wall finish. Timber battens require 450mm centres vertically and 600mm horizontally. Free standing timber/metal frames and free standing walls do not require specific fixing centres. In this instance use sufficient fixings to ensure the membrane is tight to the wall - paying attention to corners and revels. If fixing the membrane vertically, subsequent sheets should overlap by at least the width of the strip of membrane running along the edge with no studs (the flange). Vertical joints need to be sealed with Waterproofing Tape or Waterproofing Rope. 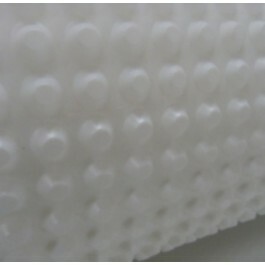 If fixing the membrane horizontally, joints should be stud to stud with the upper sheet positioned against the wall and the lower sheet overlapping infront of it by at least 2 studs. Seal the joints using Waterproofing Tape or Waterproofing Rope. Where the Waterproof Tanking Membrane is installed above the Damp Proof Course level, leave a 10mm gap at the top and a 20mm gap at the base of the wall in order to provide a ventilated system. It should be finished with off-set or ventilated cappings or skirtings. Cut the membrane at floor and wall joints so it is flush and seal the gap with Waterproofing Corner Tape. 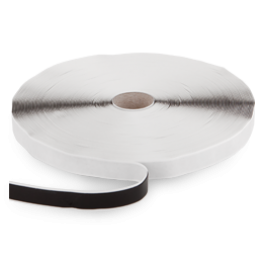 To seal services in walls and floors, cut the Waterproof Tanking Membrane around them and seal using Waterproofing Rope and Waterproofing Corner Tape. 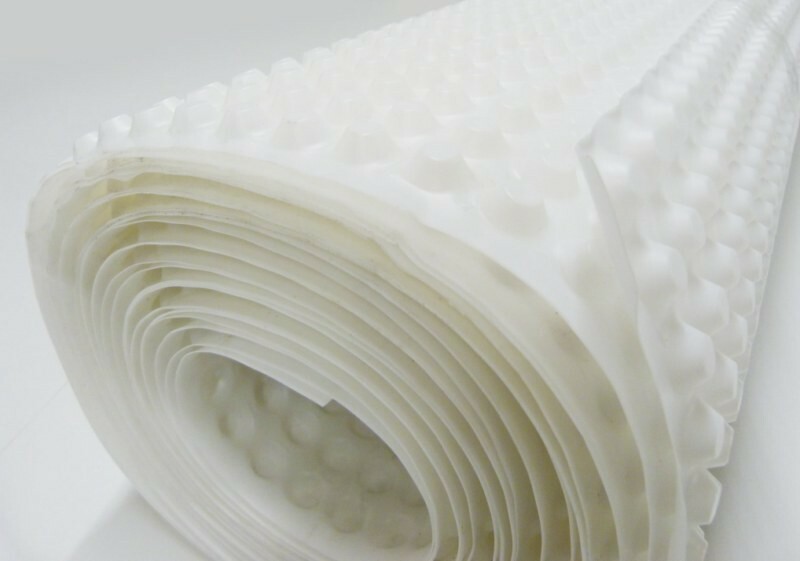 When Waterproof Tanking Membrane is installed in basements, it must be used in conjunction with a suitable sump and pump facility unless passive drainage is available. Where there is a lack of natural ventilation, it may also be necessary to consider how condensation will be controlled. The Waterproof Tanking Membrane has no specific hazard specification. However, general precautions should be taken in the use of the associated equipment such as drills, hammers etc. and working in confined spaces. The Waterproof Tanking Membrane should be stored in dry conditions, avoiding sharp objects, direct sunlight and high temperatures. 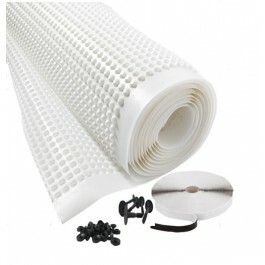 Waterproof Tanking Membrane delivery takes between 3 and 5 days.